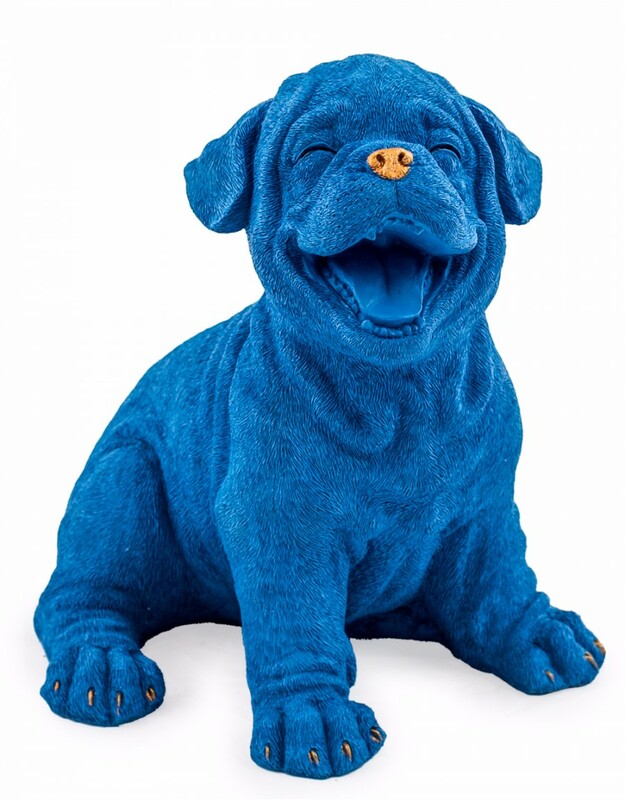 An irresistible sculpture of a smiling puppy! This whimsical ornament features a bright blue coloured puppy dog with a golden nose and nails. Perfect gift idea for the dog lover in your life.